Bloomberg reports that BlackBerry could be forced to consider splitting itself up in order as its potential buyer might not be able to find the funding to afford the buyout. As we reported earlier Fairfax Financial Holdings has offered BlackBerry the cool $4.7 billion. However, BlackBerry might even get a lot more than this if the company gets divided in several pieces. SAP AG, Cisco Systems and Samsung Electronics have all been approached by BlackBerry advisers, but have responded that they are only interested in parts of the company. Breaking up would mean that the company will be able to sell its patents and enterprise network (its most valuable assets) to the highest bidder. "If you break up the company, you're going to get more than the company is worth right now," Sachin Shah, a strategist in special situations and merger arbitrage at Albert Fried & Co, told Bloomberg. 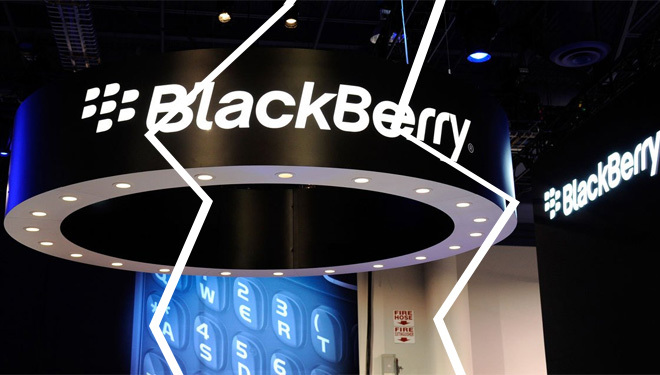 We'll continue to follow how BlackBerry's situation progresses as time goes on. It's quite probable that the Canadian company is going to get sold. However, the real question is what will happen to it after the deal? RIP BlackBerry. The reason for your demise is because of your unfriendly pricing on your phones for what they offered. Just RIP.